Thirteen years ago Holly and her husband, Eric, went to Siberia to adopt the sweet, dark-haired child they had wanted so desperately. How they laughed at the nurses of Pokrovka Orphanage #2 with their garlic and superstitions, and ignored their insistent warnings. After all, their fairy princess Tatiana—Baby Tatty—was perfect. On Christmas Day, Holly senses that something is not right, and has never been right since they brought their daughter home. Now Tatty is a dangerously beautiful, petulant, and often erratic teenager, and Holly feels there is something evil lurking within their house. She and Tatiana are alone. Eric is stuck on the roads, and none of the other guests for Christmas dinner will be able to make it through the snow. With each passing hour, the blizzard rages and Tatiana’s mood darkens, her behavior becoming increasingly disturbing… until, in every mother’s worst nightmare, Holly finds she no longer recognizes her daughter. This book had its ups and downs for me, but ultimately came through with a strong finish. Most of the book is spent inside Holly’s head, and she’s paranoid, self-absorbed, obsessive, and honestly not all that interesting (except her backstory, revealed bit by bit in flashbacks). I think this may have been more effective as a short story instead of a novel—so much was repetitive, like “Something followed them home from Russia” or saying the whole name of the orphanage over and over… but the ending was such a gut-punch that I had the immediate urge to start the book all over again. 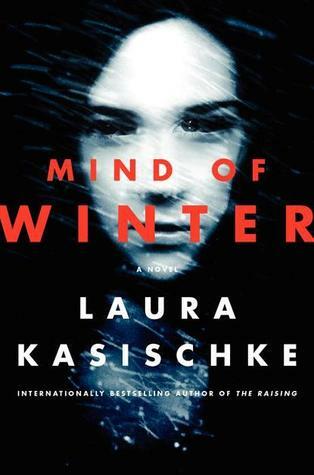 I had some theories and guesses as to what Mind of Winter was all about, but I was surprised in the end and I have to give the author credit for building the tension throughout. Looking back, it was a brilliant slow burning suspense, with things becoming more and more… off and not-quite-right as the story moves towards that climax. Not a new all-time favorite, but a great psychological thriller that has stayed with me after I finished it! Listened to audiobook from March 31 to April 13, 2015. This entry was posted in books and tagged audiobook, female adolescence, fiction, mystery, psychological thriller, suspense by kristin @ my little heart melodies. Bookmark the permalink.